Granada’s policy has always been to stay at the very forefront of technological change and management efficiency, listening to and working with our customers to deliver a product that meets the specific needs of lifting equipment management. The new DATAHUB is the result of significant investment – a major development of Granada’s bespoke software, developed in conjunction with and in response to our customers’ needs. Through this software we can provide our clients with even quicker, simpler, more efficient access to vital lifting equipment data. 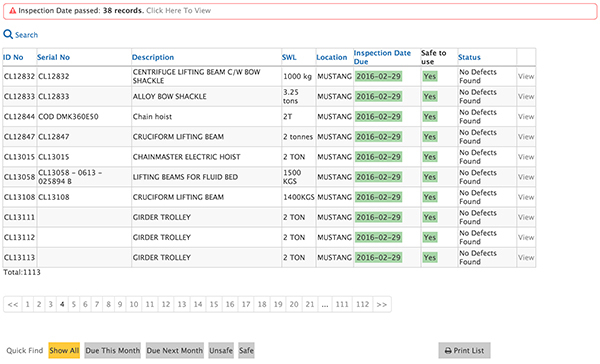 DATAHUB goes further than any other system to streamline complex, constantly-changing data, giving you real-time, detailed and comprehensive updates on all aspects of your lifting equipment and accessories via an individual web-based login. Totally secure and extremely simple to use, DATAHUB brings new standards of efficiency to onshore and offshore lifting equipment management. While Granada have always put ease-of-use and the need for thorough and detailed information at the heart of DATAHUB, the newly-launched version offers advanced features, with the most intuitive and detailed search features of any system in use today. All information is updated across the network immediately, so you can be sure that what you see onscreen is the latest information on each and every piece of equipment. With individual logins, you can view exactly what is relevant to each and every job or project. Customers can search by site, by location, SWL, safe to use or not, what’s due for inspection or servicing, and the status of each individual piece of equipment. The new DATAHUB includes both equipment and accessories – with equipment all tagged with a RFID chip for added security and ease of use onsite. The new DATAHUB system covers both LOLER and PUWER onscreen, with current certificates for each piece of equipment available to print from within the equipment record – making it much quicker and easier to produce relevant documentation whenever needed. DATAHUB features an archive, with the complete service and inspection history on any kit installed, serviced or inspected by Granada – from pre-delivery at the factory through to removal from service. Where our inspections show any damage, our engineers can photograph the part, and upload the image, making it easier to keep up-to-date, onscreen and immediately. All information is guaranteed to be up-to-date, and securely accessible wherever needed at any time. Audits are simpler and quicker, with everything available online and instantly – saving time for regular Health & Safety audits and, for PQQ and tender audits, helping to demonstrate flexibility and commitment to safety. For offshore customers, being able to provide all necessary documentation, printed from one screen record, is not only a time-saving but also a cost-saving option. For onshore customers, especially in the chemical and pharmaceutical sectors, the advanced search facilities available in the new DATAHUB can be invaluable when scheduling planned lifts. 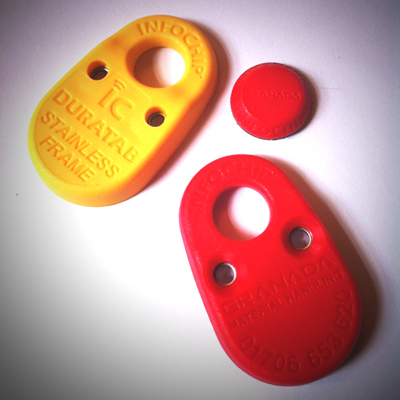 DATAHUB gives you the option of having a unique RFID chip attached to every piece of Granada lifting equipment. Each chip has a readable number that can be accessed by our engineers using a PDA. The combination of RFID chips and DATAHUB’S online database will give you unparalleled identification, tracking, cross-referencing and traceability. With everything stored electronically by Granada engineers using PDAs, DATAHUB means no paperwork, which is good for both the environment and traceability. 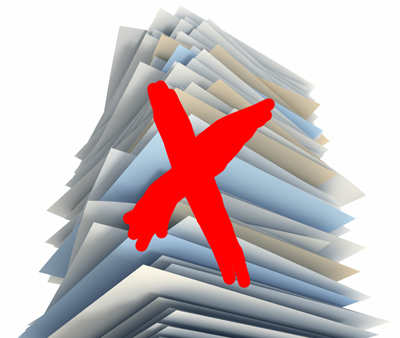 Electronic storage also means that documents can’t be lost.